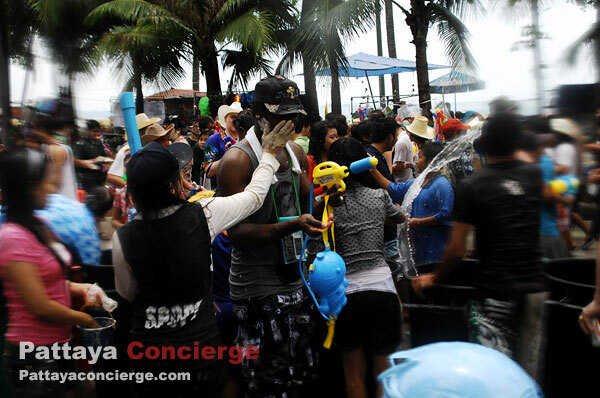 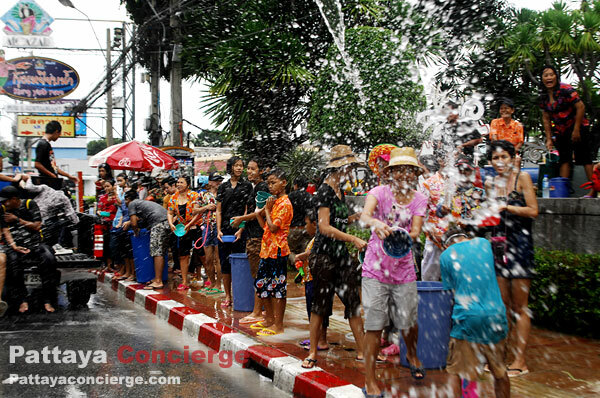 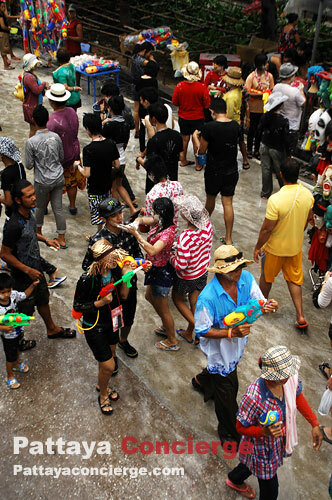 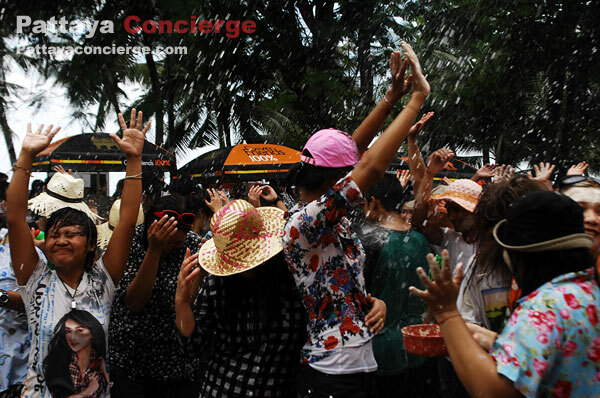 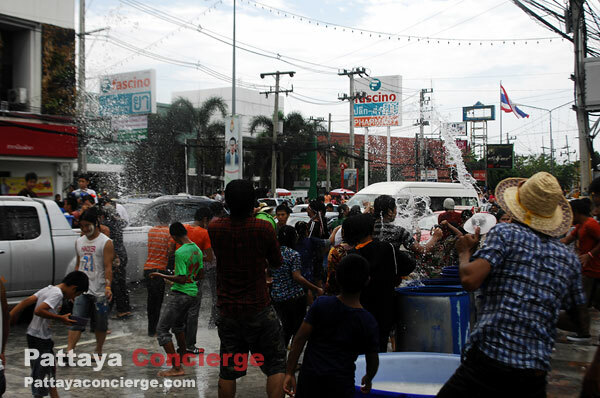 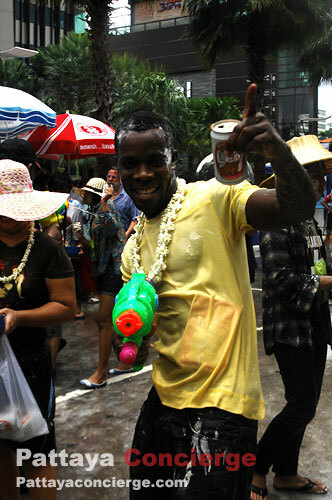 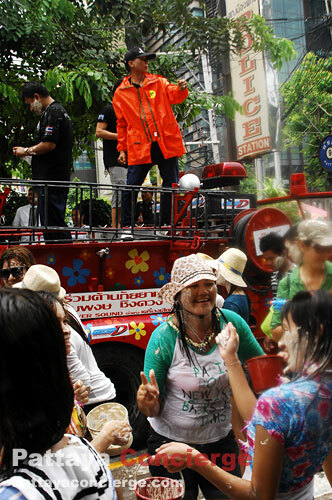 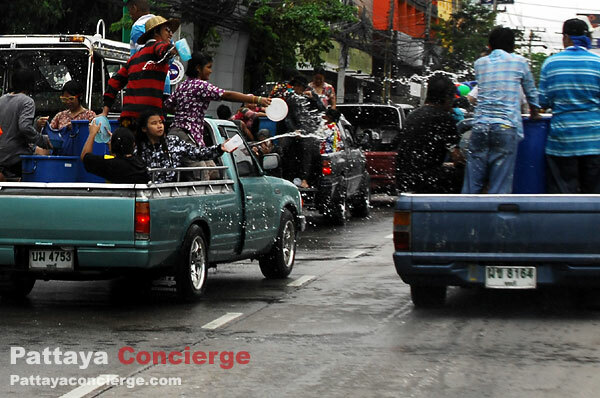 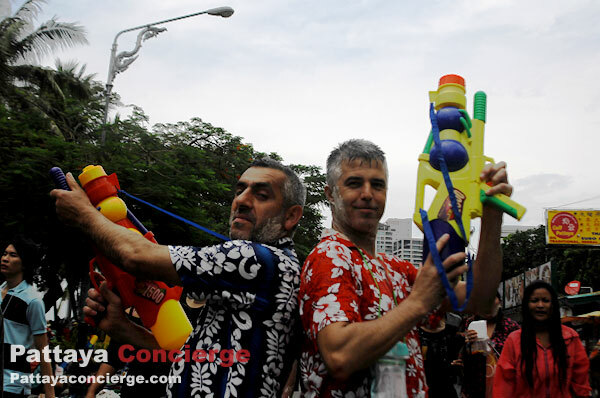 Songkran Festival in Thailand is the Thai New Year Festival. 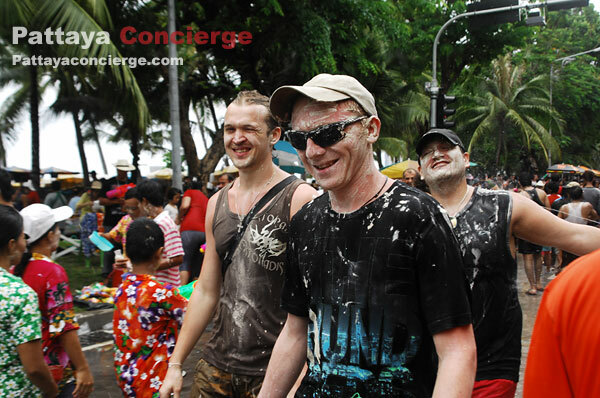 There are 3 days for the official holidays of this festival – 13th to 15th April. 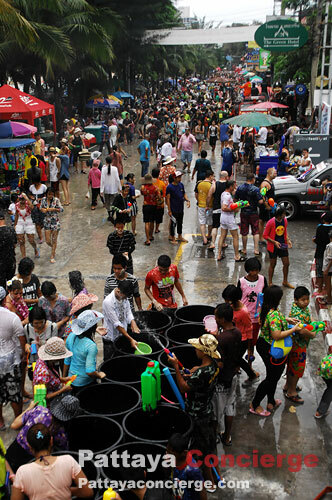 However, There are extended days of the festival, called “Wan Lai” in many provinces in Thailand. 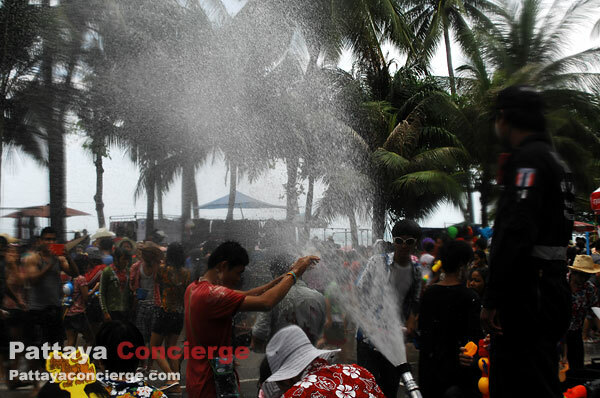 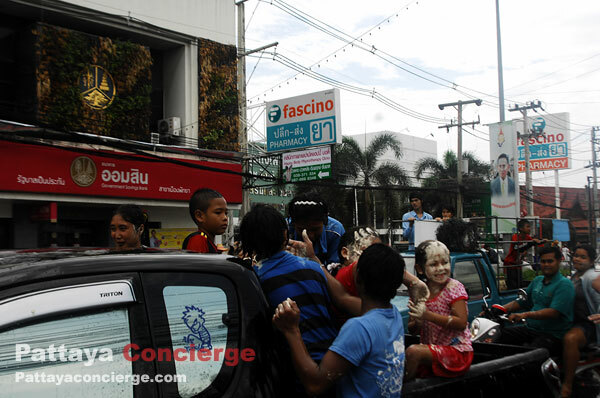 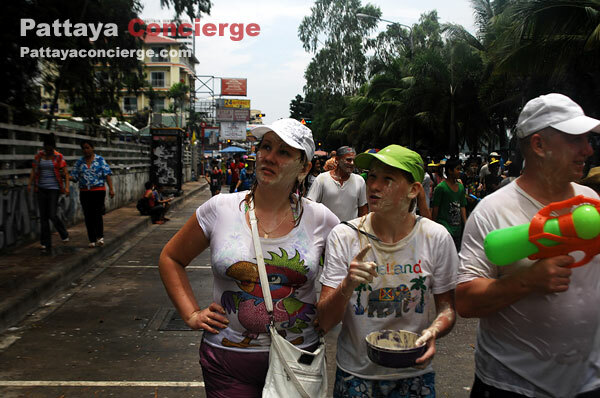 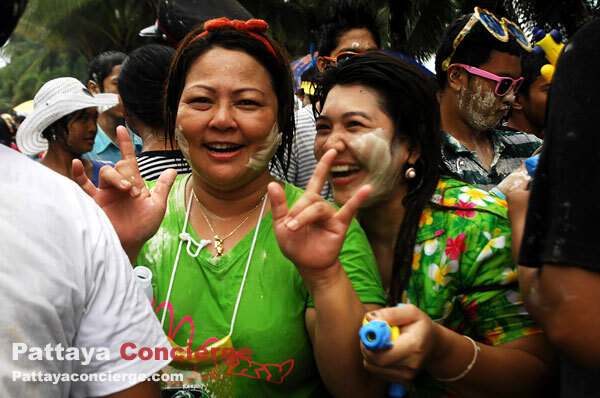 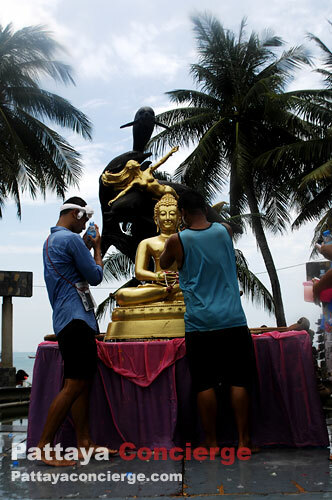 Chonburi is a province that many cities offer the extended Songkran Festival, including Pattaya. 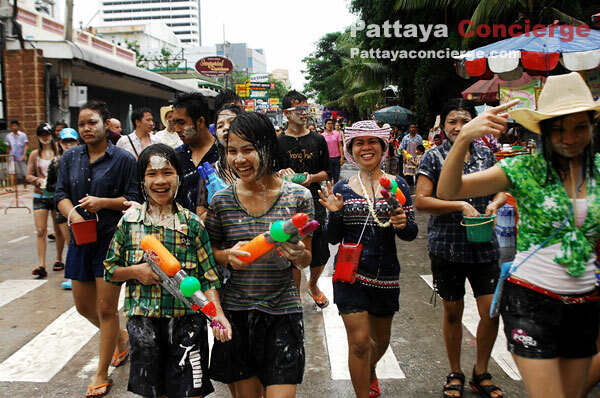 Pattaya is a city in Chonburi that a large number of people participate in the Extended Songkran Festival on 18th and 19th. 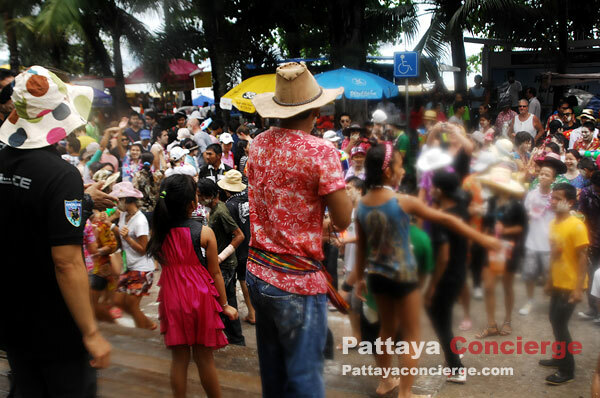 In fact, 18th is for Naklue, not Pattaya, but it is very close to the Pattaya city, so those who enjoy this water festival can join easily. 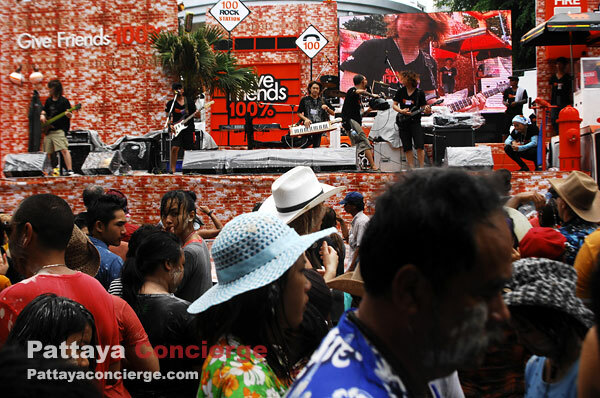 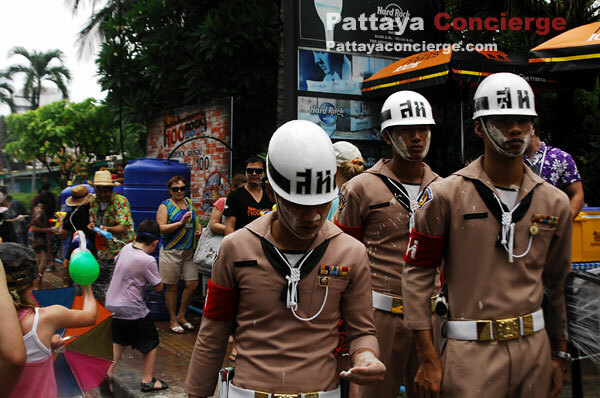 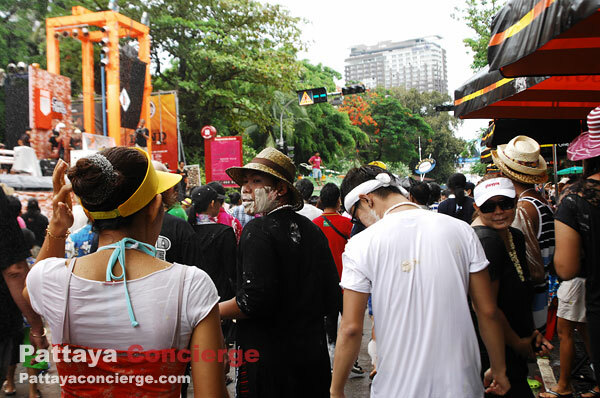 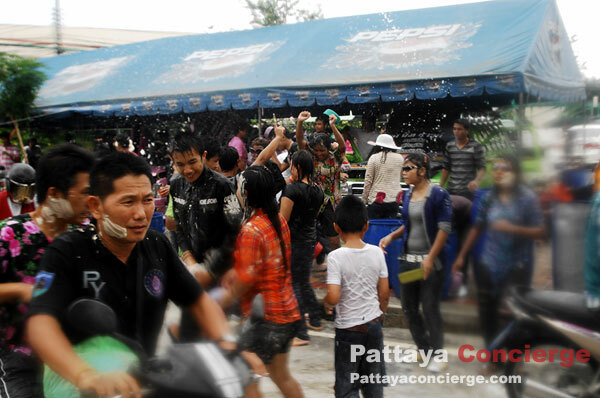 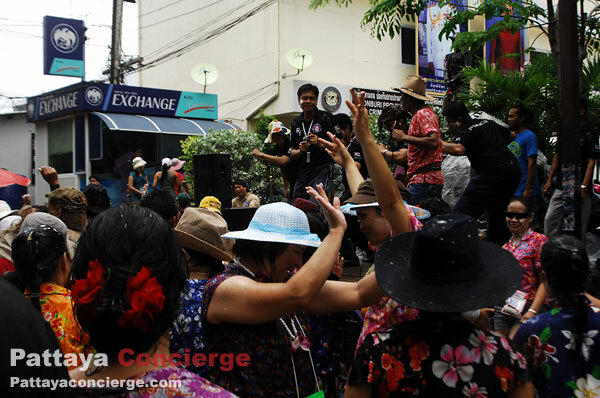 On 19th April, a lot more people come to the Pattaya city, so anyone can enjoy this activity at anywhere in Pattaya. 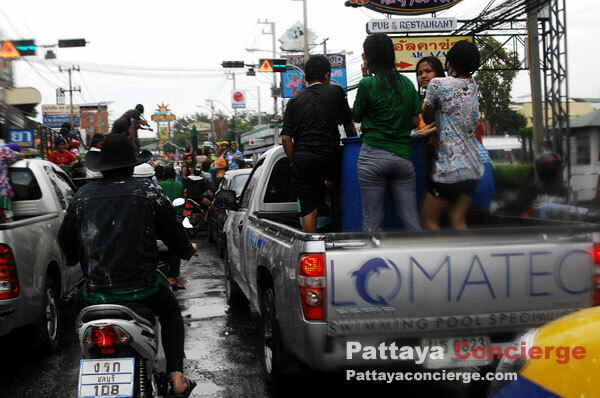 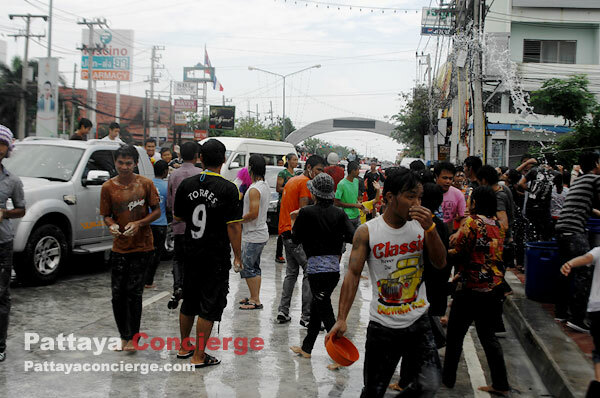 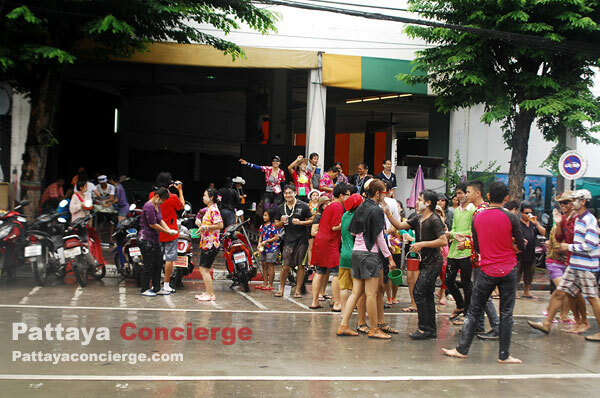 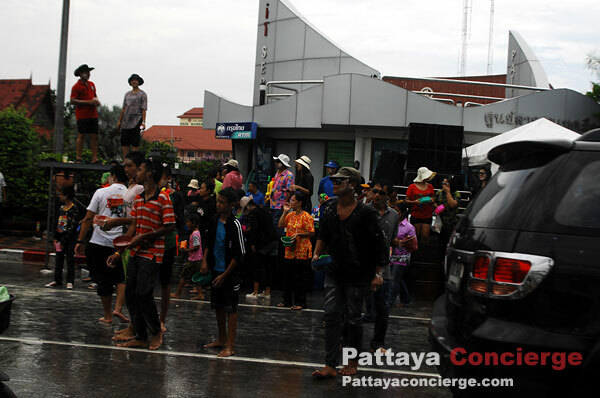 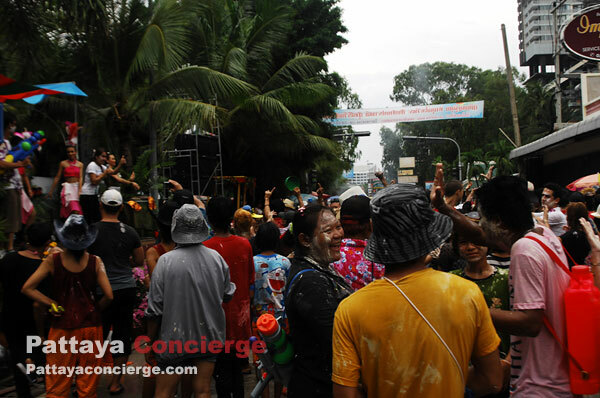 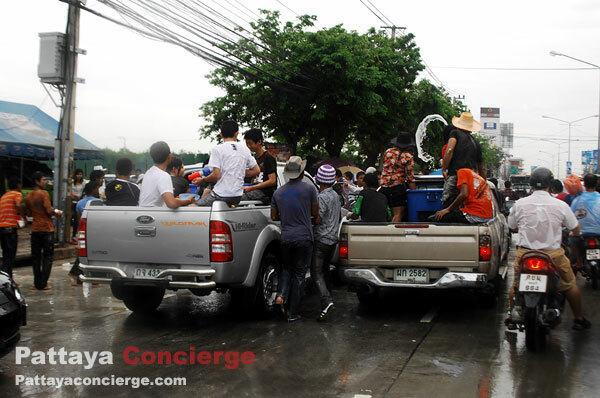 Those who participate Pattaya Songkran festival with their pick up will be everywhere in Pattaya except Pattaya Beach Road because the Council of the Pattaya city set the Beach Road for non vehicles. 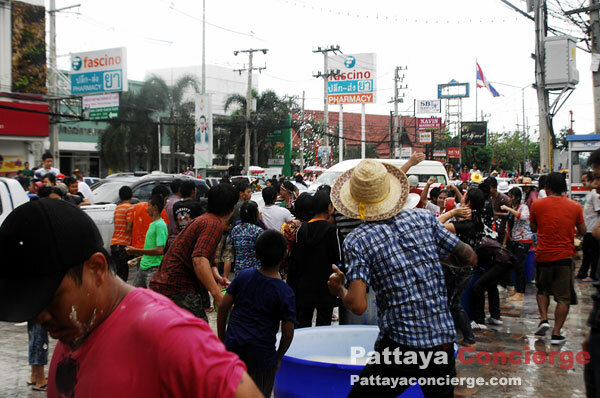 Therefore, Pattaya Beach Road is just like walking street that anyone can enjoy Songkran festival, and Pattaya Council also provides water for participants to refill at many places in Pattaya Beach Road. 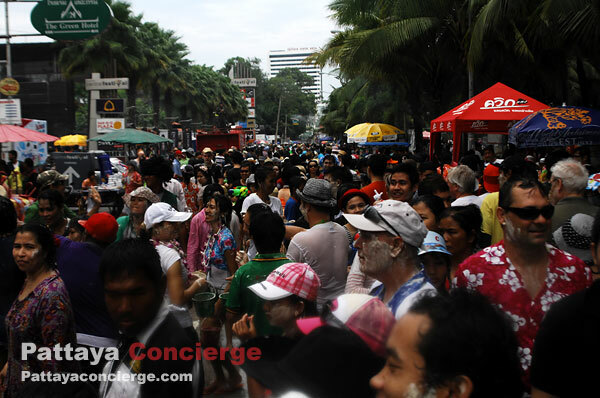 Unfortunately, for business people, on 19th it is impossible to do any business in Pattaya. 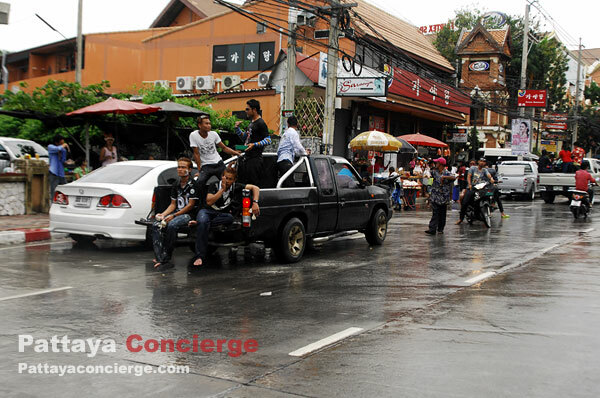 This is because traffic jam will seriously happen in almost every street in the city. 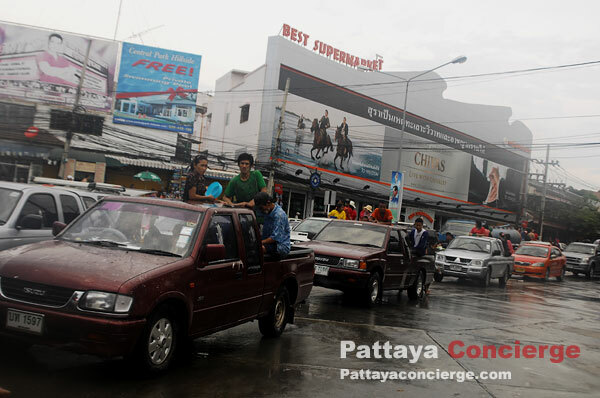 It would be better to do business in Pattaya in any other days. 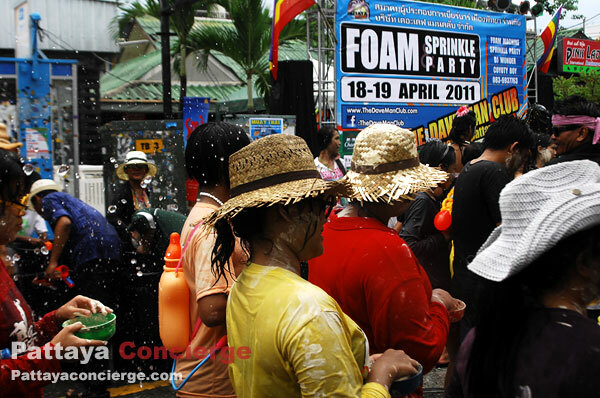 Another thing is that during 13th – 19th April it would be better for those who prefer not to participate Songkran festival avoid going to Pattaya by using Sukhumvit Road as they could face traffic jam at many places playing this festival on the way such as Chonburi, Bangsaen, Sriracha. 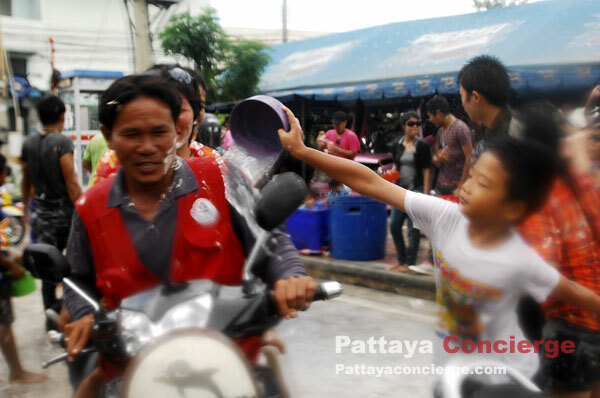 The recommended street is Motor Way. 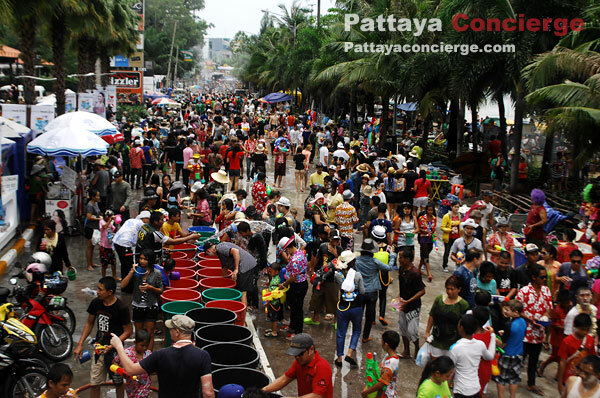 However, on 19th April, non-participants should arrive in Pattaya before 12 PM in order to avoid serious traffic jam in the city.